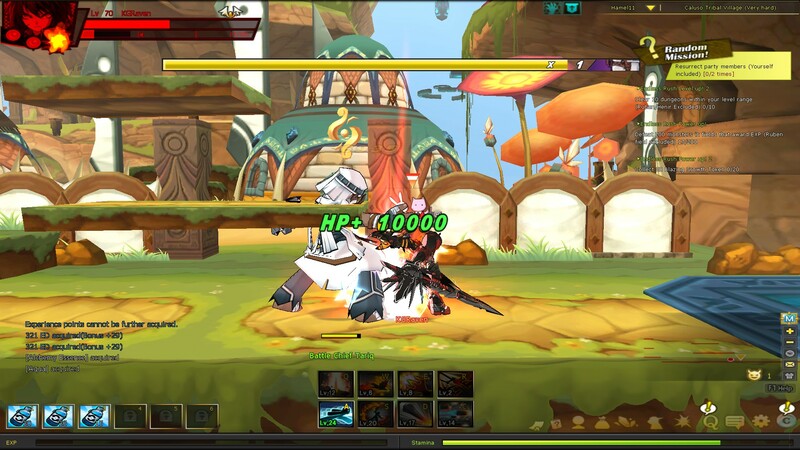 Originally meant to be a successor or reboot to Grand Chase (A side-scrolling action-MMO), ElSword evolved definitively into its own game, featuring a unique anime/manga style. And it does have its own magazine to boot, featuring slightly embellished story from the main quest as well as general Korean GM randomness! In a variety of ways, it stands out from its predecessor, and the game recently celebrated its four-year anniversary. Much has changed since the game came out, and a great deal has also changed since the last time I even played this title! Now there are nine total characters, each with three job path progression choices each. There are so many changes going on to make the game more enjoyable and exciting for the playerbase, and one of the best things about it to me is also one of my least favorites: You can play this game with a controller (or in my case, an arcade stick); but there is no option to customize that controller, only your keyboard. So having to guess or struggle to figure out what each button does on my stick is stressful, (especially when testing out characters more advanced than I know what to do with!) but the game plays quite easily on a keyboard. I wasn’t sure what to expect going in, but I feared it would be a Maple Story clone, which would ultimately bore me. This is absolutely not the case. The side scrolling that turns into the 3-D plane is pretty entertaining, and open world stages are a blast to explore, as the platforming has quite a bit of vertical progression and forking paths at later stages. Not to mention vehicular combat, from motorcycles to dragons! 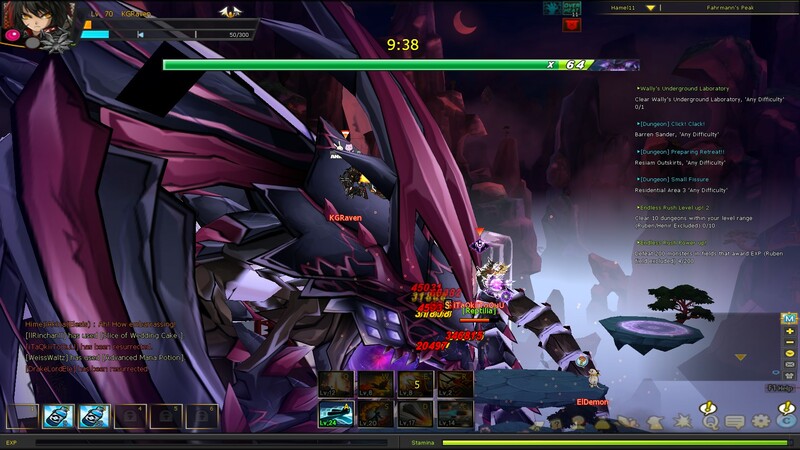 With KOG sponsored tournaments, crafting gear, running dungeons with your friends, and an overall focus on soloing challenges, Elsword has plenty on tap to keep you engaged. The world of Elrios is a light-hearted change of pace from the plethora of ultra-violent games we have seen, and it’s such a pleasure to enjoy this kind of special title. Lots of things have updated, and even little changes like an update to the victory UI stand out. 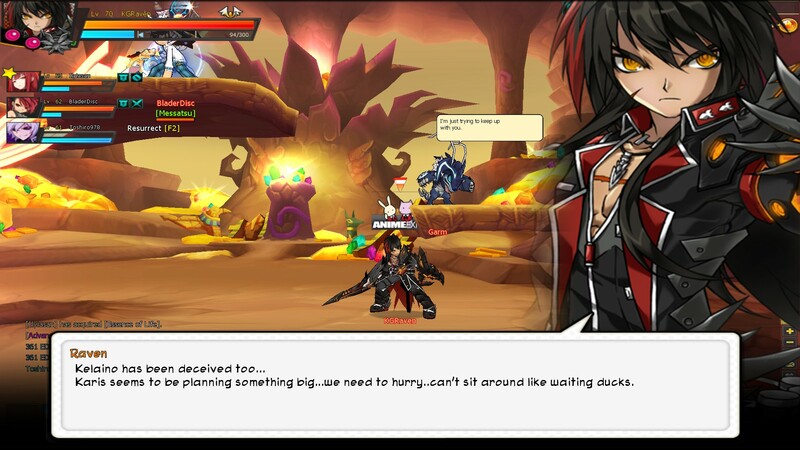 Elsword might be four years old, but it’s not going anywhere anytime soon. The world has opened up in a clever way, to be sure! Between towns are the open world areas, that are, as stated above, 2-D but operate on a 3-D plane. Say you are moving left to right, but the road curves, and it would appear you are now going forward into the third dimensional plane. It’s really difficult to describe, but it is a fantastic concept to be sure. It offers a larger area to experience the game in, instead of simple platforms to jump up and down off of. These open zones are multi-tiered, and it is a relief to know that tagging/attacking an enemy creature doesn’t block non-partied supports from joining in to get their share of the loot or experience. Unlike the original dungeon lobby system, these areas are open to everyone to show off their skills and damage in a free flowing setting. The open world has something else of interest, and that is the concept of Field Bosses and Field Boss Raids. As you progress in the game, you’ll occasionally see short jump to scenes as epic mobs appear, challenging the local players to unite to fell the beast for more advanced rewards. But at the end-game this is taken a step further as open world bosses appear in portals (The Gate of Time) in the “Hamel” and “Sanders” areas of the game. 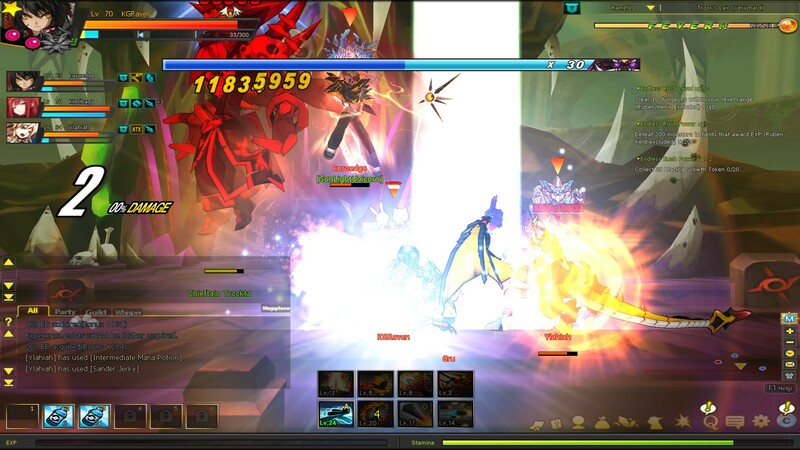 When the appropriate amount of enemies are killed, a global announcement pops up with where the portal is to be, and up to 12 players can unite to battle the boss within. However, there is a debuff you gain, so you cannot simply drop right back in immediately after being kicked out. These bosses are insanely hard with several phases to go through, and about 90 bars of health, so be advised to enter only with proper potions and plenty of power at the ready! There are tons of dungeons to journey through as well. Each town has a series of them to adventure through, which can be done with a total of four players. Now, you may not always get four total, and sometimes your party will ditch you as soon as it starts, or halfway through, leaving you to fight a “Very Hard” version of a dungeon, which happened to me on a number of occasions. 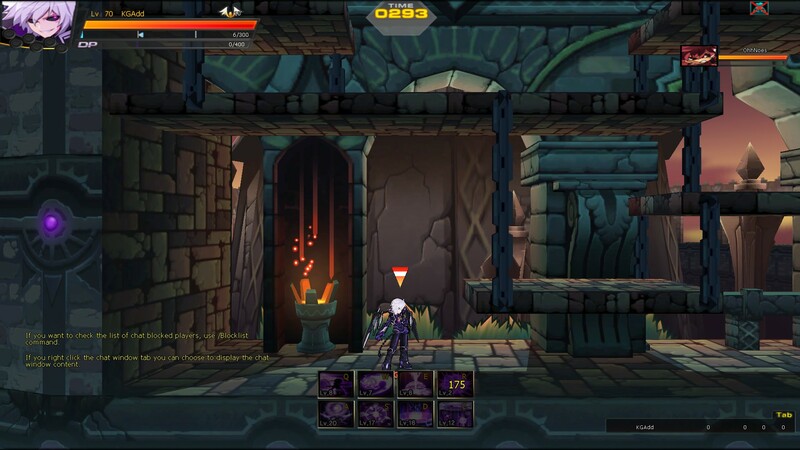 But you cannot proceed to the next dungeon until you complete the one you have ahead, and meet the level requirement. These dungeons have three difficulties, Normal, Hard, and Very Hard, and even at level 70, doing a 62~ Very Hard dungeon solo can be tiresome without enough potions or healing abilities. Plus it’s worth noting that without the right item level you won’t stand a chance at all. A recent update upped the challenge of high end dungeons, and added evade to previously zero evade monsters, forcing players to plan their PvE gear out to ensure progression. Since our last coverage, the cast of characters have now been expanded to include ADD, Ara, and Elesis, and I have had some time to play around with them and see how they handled. I have to say, ADD was probably my favorite. He’s obnoxious, seems pretty evil, and has a host of ranged, darkness attacks. Plus he can hover in the air on one of the Dynamos that he wields as a weapon. As far as PVP goes, I enjoyed Elesis and Ara, which are more melee based. While ADD does a ton of damage upfront, and is very burst-oriented, once you are on top of your opponent in PVP, it can be very hard to get away. And that’s dangerous for characters like ADD, who is ranged primarily. Elesis has a pretty unique style, which while similar to her brother El’s, still stands out as a distinct fighting style. Knight of Gale and Knight of Annihilation are quite different and offer their own buffs, and knowing how these work is absolutely key to maximizing her damage. Ara Haan is more basic, and when I just want to slap things in the face with a mighty spear, she’s my go to. But if I had to pick favorite characters, Raven, ADD, and Elesis entertain me the most. There are also the zones of Sanders and Hamel, which I have been exploring. I love the fact that all the zones have bosses that show up, and these two zones are quite pretty. These are also the zones where the Gates of Time show up, so if you are high enough level, these are definitely the spots to be in when grinding/farming, trying to get into a Raid. There are definitely highlights in these zones, like fighting on one of the small transition areas, in the form of a massive ship. Sanders rests in the middle of an Oasis, otherwise surrounded by sand and dust, yet the backgrounds are just as colorful and exotic as anywhere else in the game. No boring repeating cacti and bleak desert backdrops to be found here! 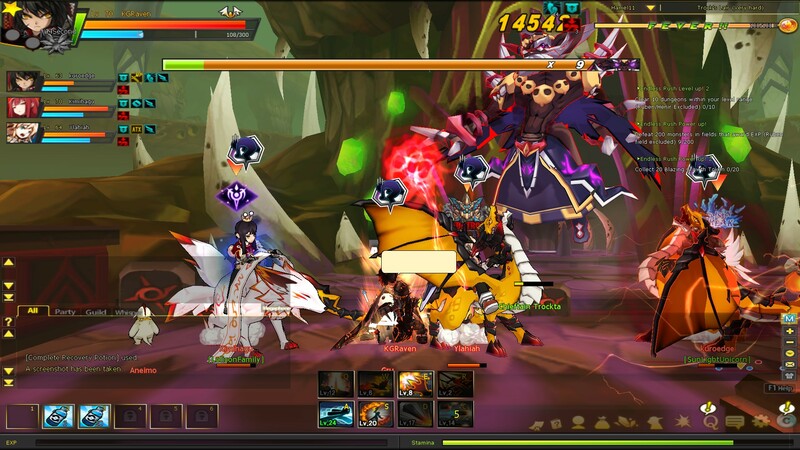 Speaking of towns, one of the clever ways that Elsword advertises it’s very fantastic costumes is upon Billboards. In the town of Sanders, for example, near the water there is a billboard that advertises the Hamel Navy Uniform costume set, which is really quite lovely. Sure, every loading screen advertises the costumes, but these billboards are a lot more clever (and less intrusive). 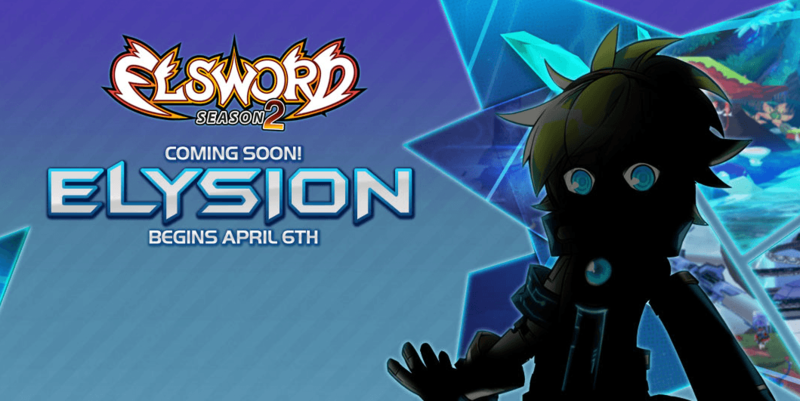 Fashion is popular in Elsword, and this is a great way to get the word out while making it feel more immersive. There are so many costumes and styles for your characters, from the Samurai Set, the Wonder Set (Think Superman/Wonder Woman), Navy set, and so many more. With four years of development you’d expect a wide set, but I was particularly impressed that the western market for this game was viable enough that the Korean developers have created brand new sets suggested by local players. It is easy to find a style that you will think fits your character, and you don’t always have to spend money! There are other ways in game to receive costume pieces, such as special events or job upgrades, so people who don’t want to spend cash can still style from time to time. 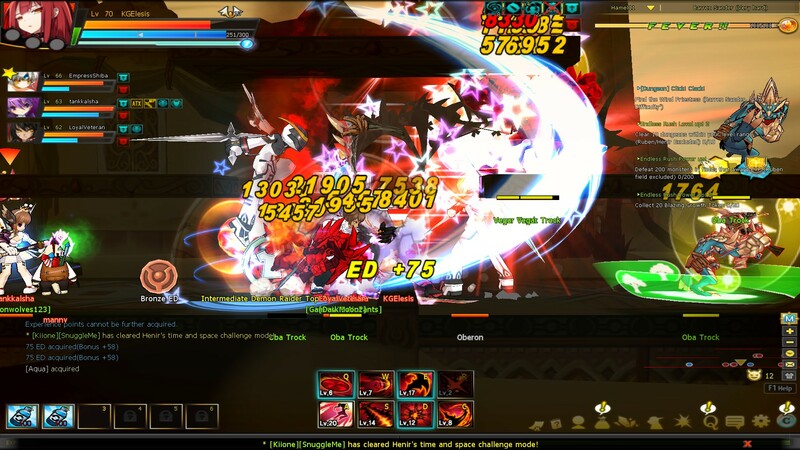 In the four years Elsword has been around, and even since Dizzy’s review in 2013, it has definitely grown stronger and stronger. The addition of three new characters, new zones, and an influx of Twitch Streamed tournaments have upped their product awareness to keep the community growing. While in-game regular PVP is fantastic, and intense, regular tournaments with hardened pros are more interesting. New players can be dazzled at the insane skill ceiling this game offers, as I personally discovered when my GM powered level 70 characters were pummeled by level 50s that knew what they were doing. But it’s not all smiles and glory; no, there are things that definitely stand out that could use work or simply should not be; having to pay (even once) for a second ability bar stinks of greed, and again not being able to customize my gamepad controller could definitely be adjusted. These things aside, the game is interesting and each character stands on its own as an absolute joy to play as the story unfolds. 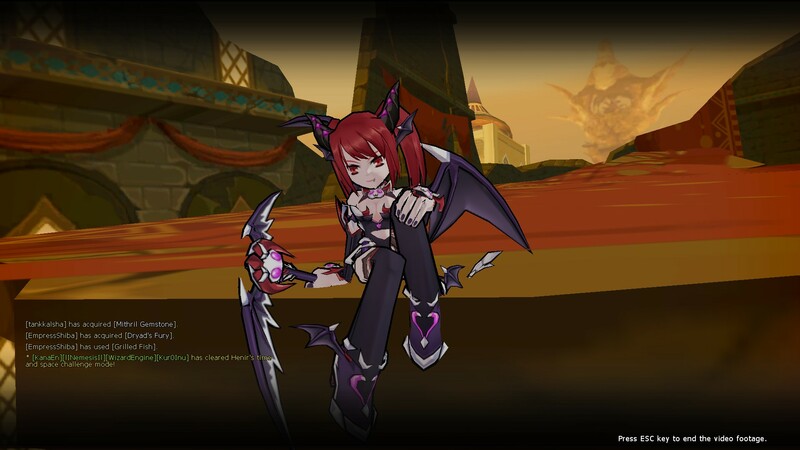 With new content hitting nearly every month, and no signs of the slightly more advanced Korean edition slowing content pushing, Elsword still has plenty more life left in it. 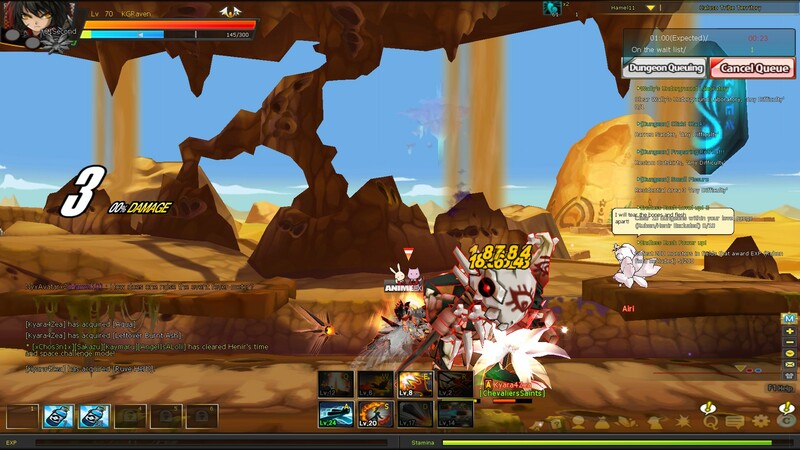 Want to see me and my boss get pounded by some of the world’s best Elsword players? Check our PvP spotlight video on BottomTier. PG-13 warning, we’re a vulgar bunch.